Extensive decay, a tooth root infection, or oral trauma can cause your teeth to ache or feel sore, and the structure of the tooth may remain vulnerable to further damage or discomfort. The tooth decay, for example, could spread quickly into the internal structures of the tooth. Having a dental crown can fortify your tooth against added problems and prevent sensitivity, and protect your damaged enamel from further erosion. A personalized fit is what you will get in a crown as it’s custom-made to suit your individual smile. Crowns can be designed to your exact specifications when it comes to shape, size, fit and color. It is possible to get an individualized treatment that is ideally suited for your needs, preferences and particular budget. Dental crowns are commonly used in restorative procedures, but they are also an effective cosmetic solution. 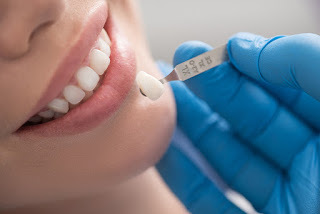 Crowns fit over the tooth, and as such, are useful in correcting discoloration, staining, chips, cracks, misshapen teeth, fractures and crookedness, along with other issues that impact appearance. As a result, crowns can be an effective aesthetic dental treatment. Crowns are generally made from strong, beautiful materials that allow is a good lifespan. A well-maintained dental crown typically lasts around 15 years. There are many factors that can affect the longevity of a crown, such as a person’s oral hygiene habits and wear. However, with proper care that includes regular brushing and flossing, routine examinations and cleanings, crowns can last more than 15 years. A dental crown can be used in a wide range of dental restorations to address several different issues. It can be used to cap a severely broken or damaged tooth, provide restoration for a tooth that can’t be saved or has fallen out, or as a support in a dental bridge. It can also protect a root canal and damaged enamel. South Boston Family Dental provides top quality and individualized crowns that can transform your oral health and give you a beautiful smile. If you have questions or want to book a consultation you can call us at 617-268-5638. We look forward to you getting a perfect smile.